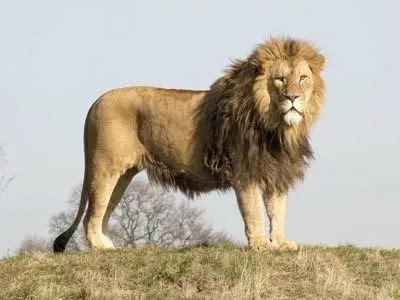 A pastor from the Zion Christian Church in South Africa who claimed he was filled with the Holy Spirit recently 'challenged' a lion to a duo in the Kruger National Park. Reportedly prophet Alec Ndiwane was with fellow church members in the Kruger National Park where they were watching animals when he went into a 'trance' and started to speak in tongues. Alec then opened the car door and went charging towards the lions and of course the lions charged back at him . The pastor suddenly came to his senses and attempted to run away from the lions but one of the kings of the jungle got to him first severely injuring him. Luckily, a game ranger who was near fired some shots with his gun to scare the lion away. “I do not know what came over me’, Alec later confessed, ‘I thought the Lord wanted to use me to show his power over animals. Is it not we were given dominion over all creatures of the earth’, Alec added. Alec was eventually stitched up and discharged after spending the night in hospital.